The right finger mehndi designs can make your hands look glamorous and fashionable and give you that effortless Diva look. 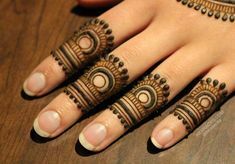 Simple and minimalist mehndi designs are loved by all as they are easy to achieve, effortless and are less time consuming too. 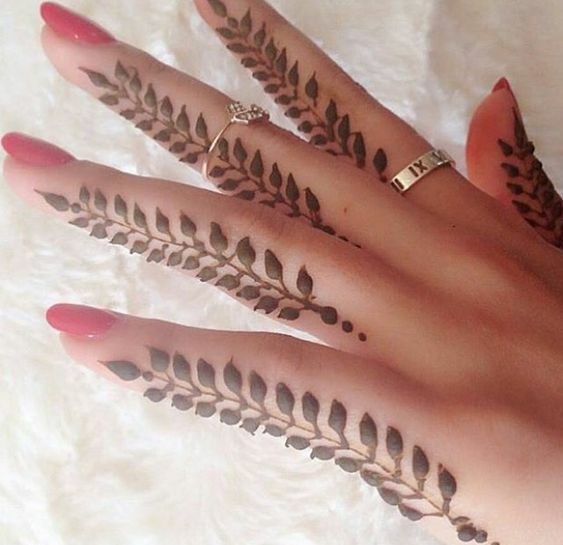 Doing only your fingers is the new Henna trend these days and we at Bling Sparkle are personally loving it! For simple occasions like Eid, Diwali, a Cousin's wedding or a friend's Roka you can keep things classy and elegant by going for fingers only Henna mehndi designs. 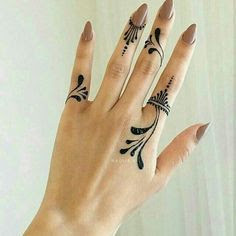 Having loved minimalist Henna designs all my life I stand for the moto - 'Less is more' and encourage you all to try this out too!! 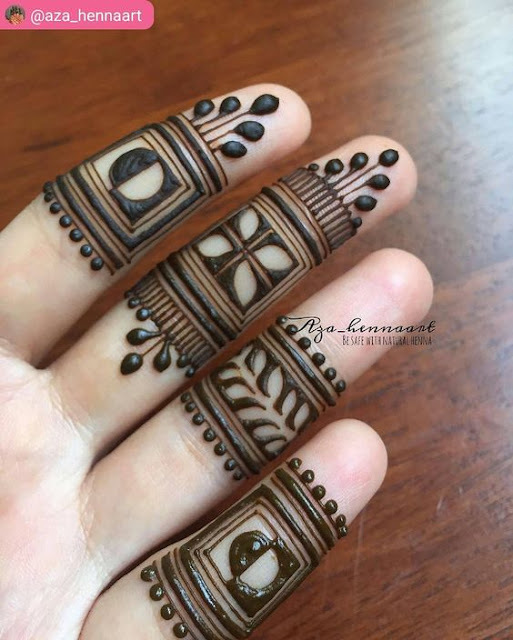 There are endless patterns you can use to beautify your fingers and today I'll be sharing with you 45 such unique and latest inspirations to try out. 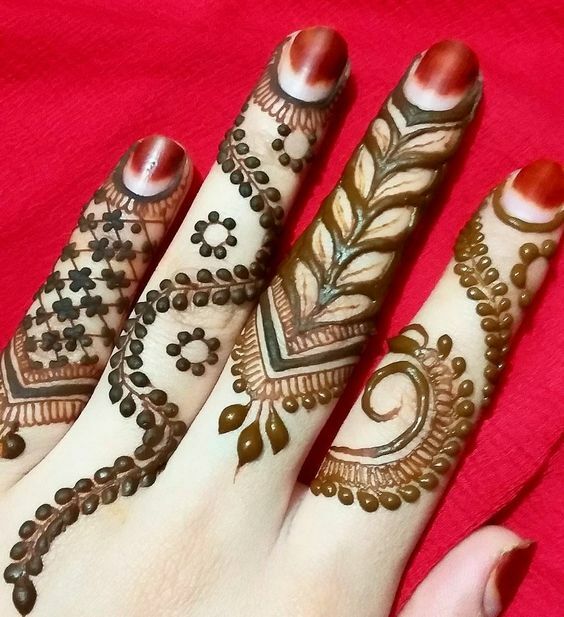 Mesh or Jali mehndi designs have a striking beauty to themselves and look absolutely gorgeous when applied on hands. 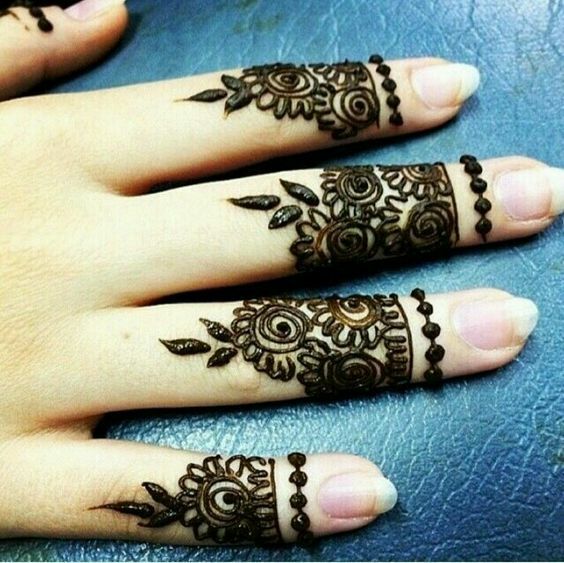 The above jaali finger mehndi style is the perfect choice for anyone who wants to keep it simple yet striking. 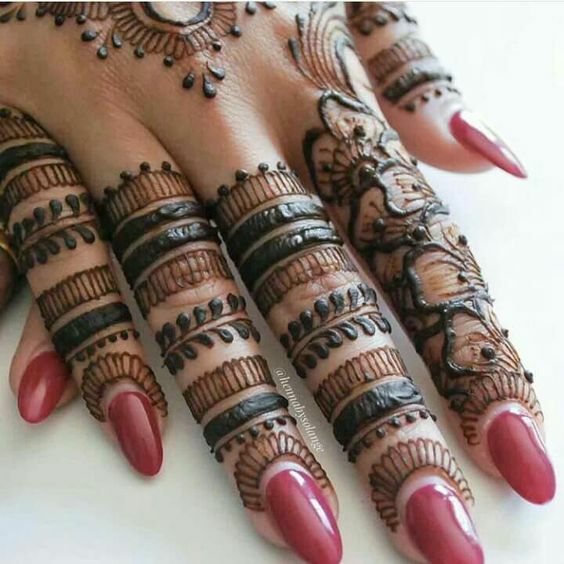 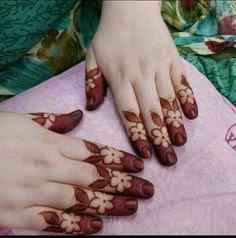 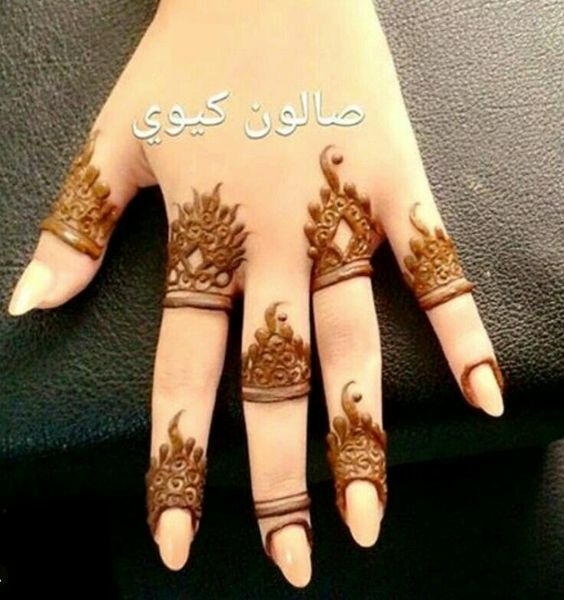 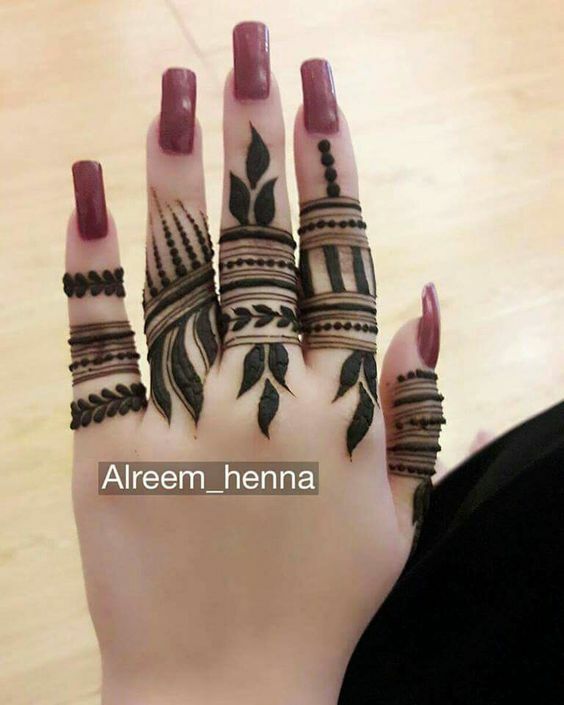 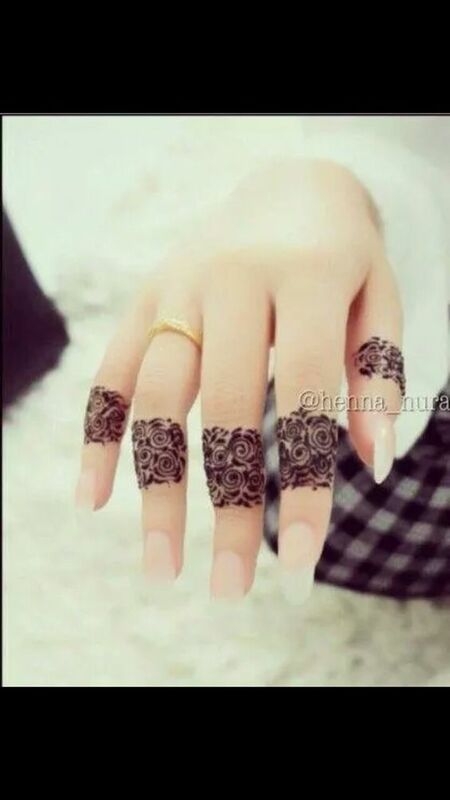 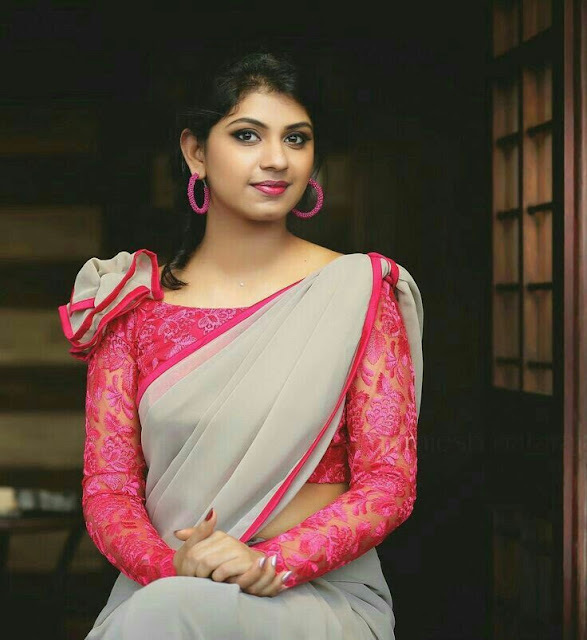 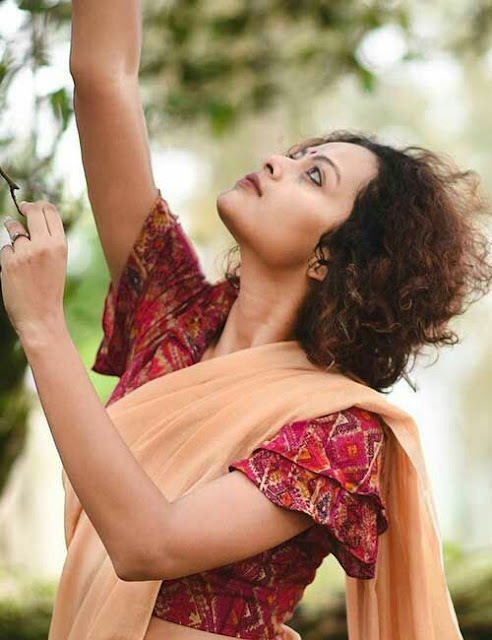 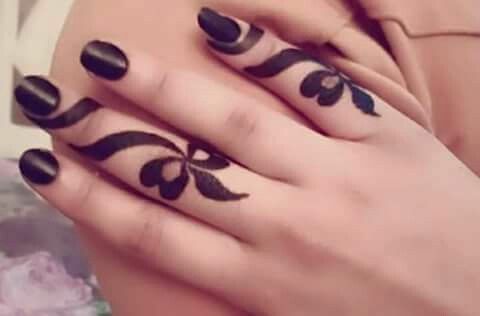 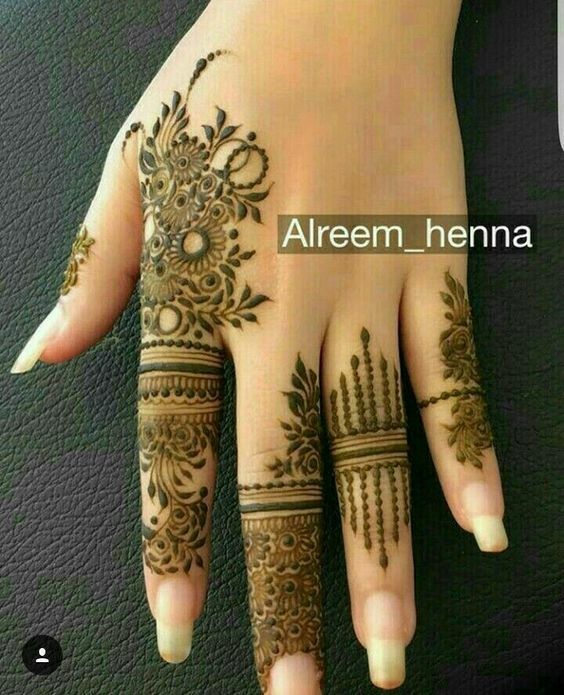 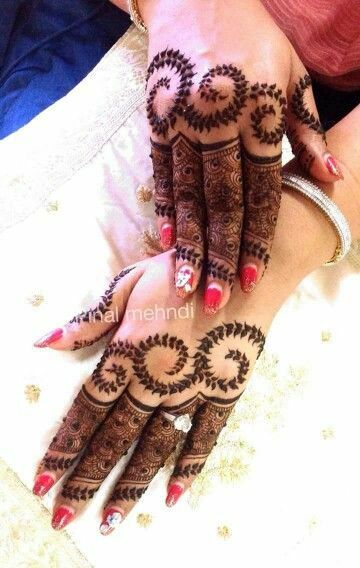 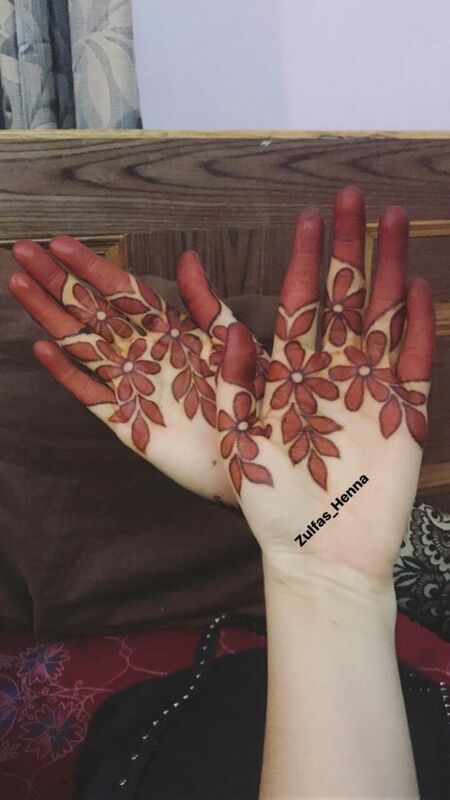 There are some occasions where one wants to apply Henna but just a hint of it and that's when the above finger mehndi design would be a perfect choice. 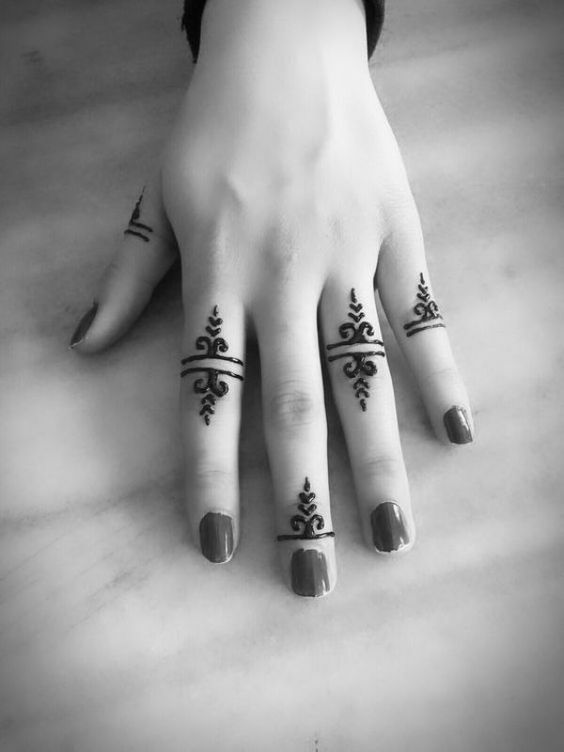 This is very easy to achieve plus gives your fingers a very sophisticated feel! 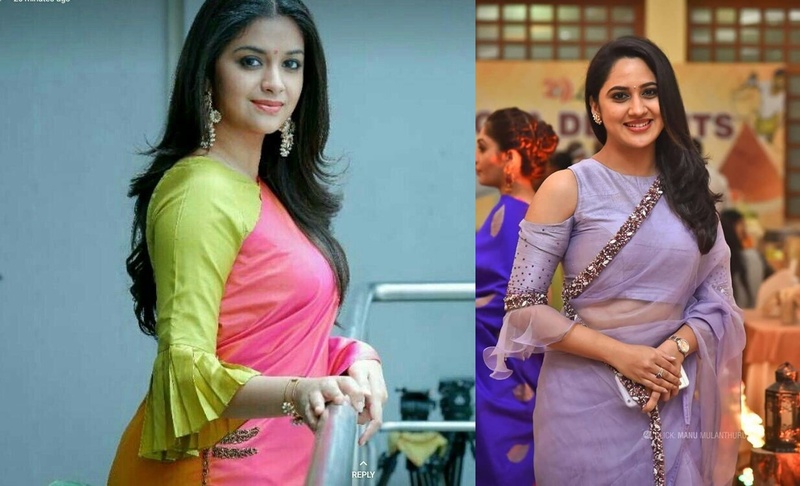 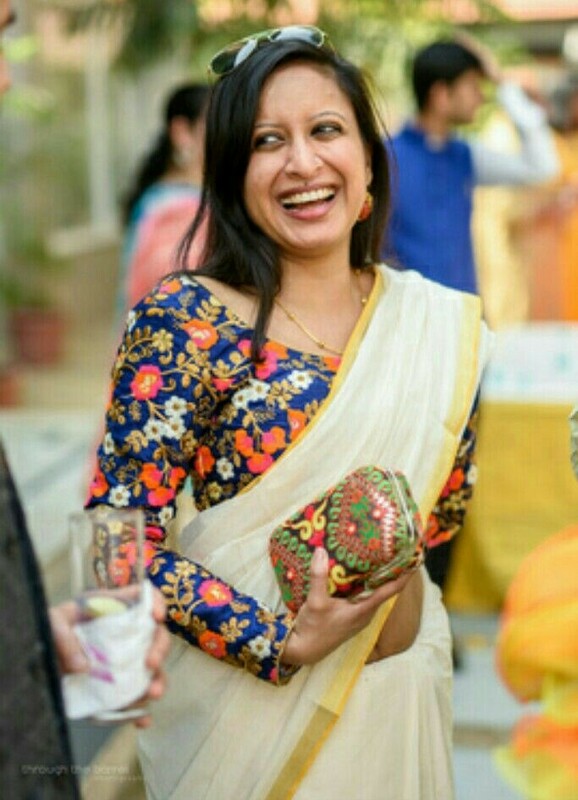 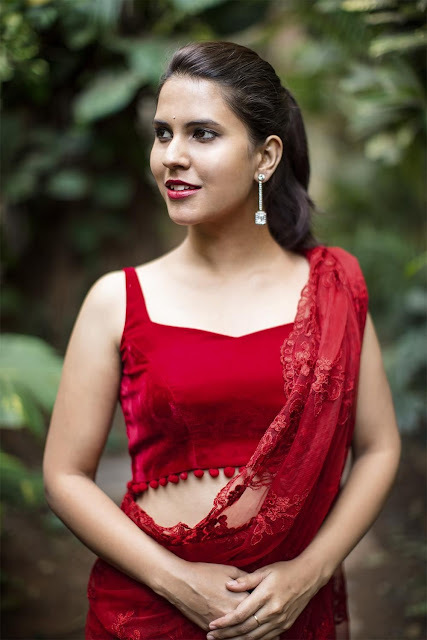 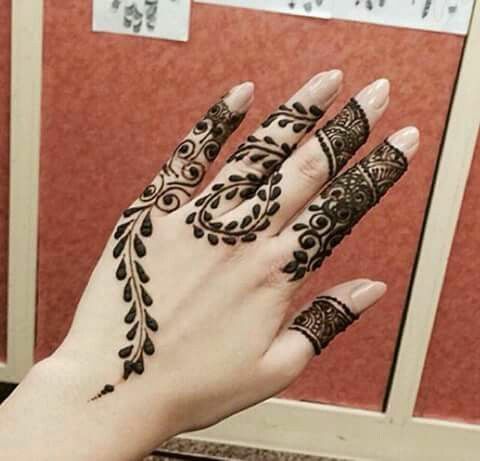 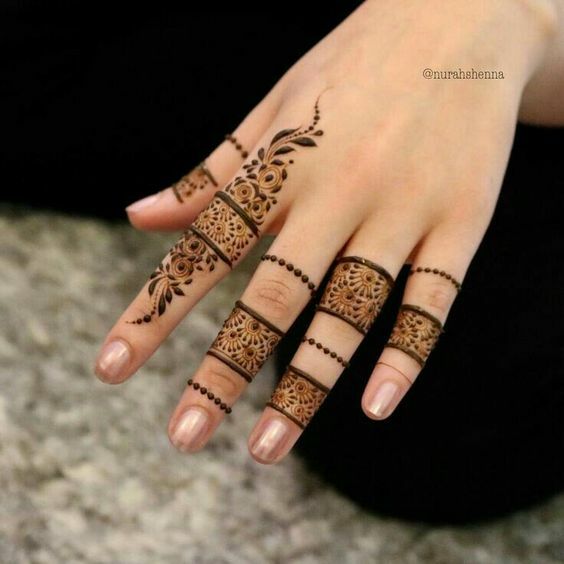 The hand harness mehndi design or the Hathphool mehndi design is the current rage among girls for it's sheer beauty of giving you that feel of wearing a bracelet. 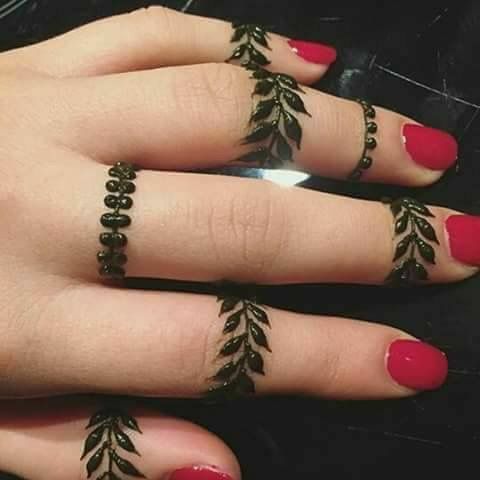 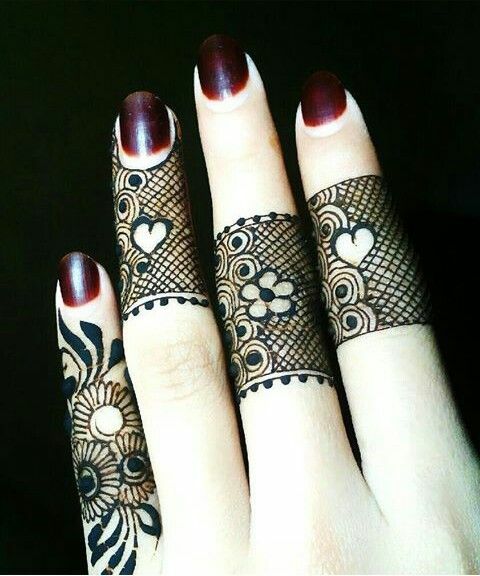 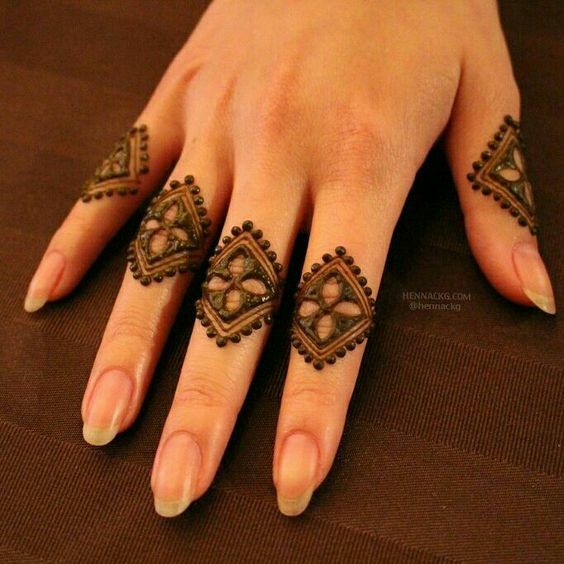 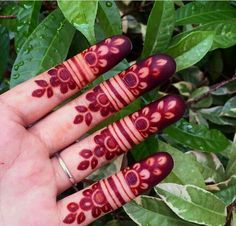 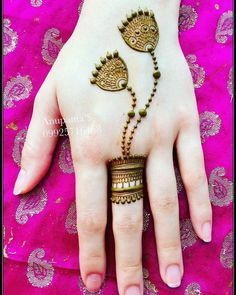 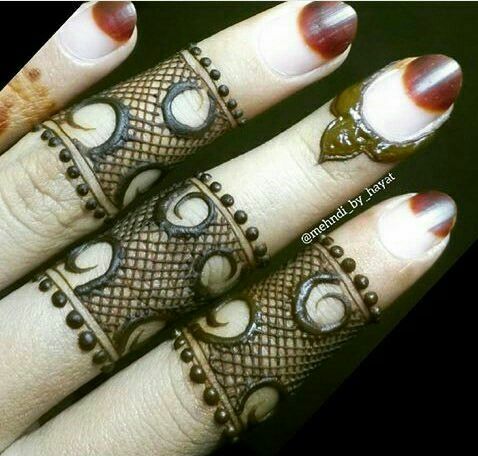 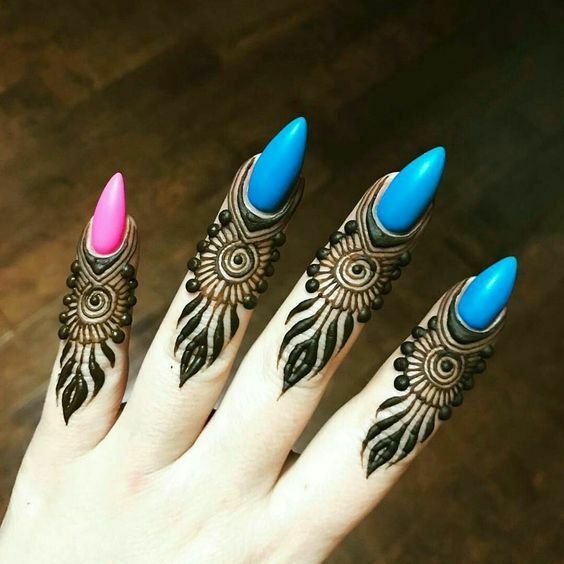 This mehndi design is sure to grab people's interest plus accessorize your fingers well without actually having to wear real jewelry! 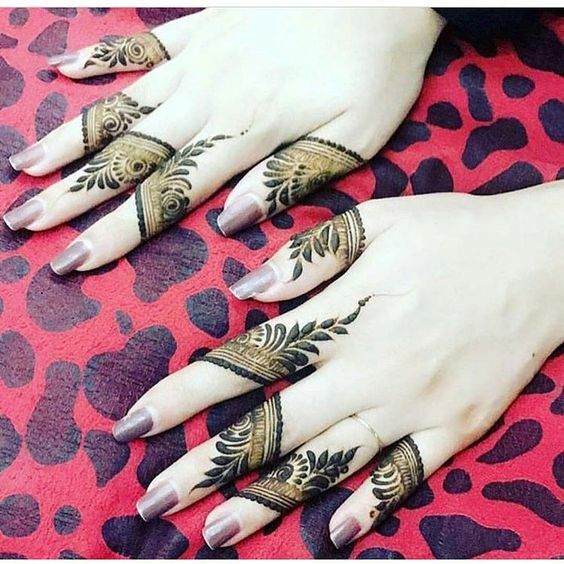 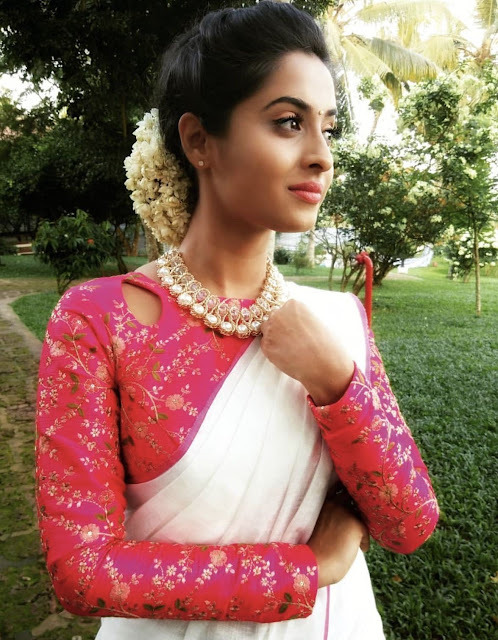 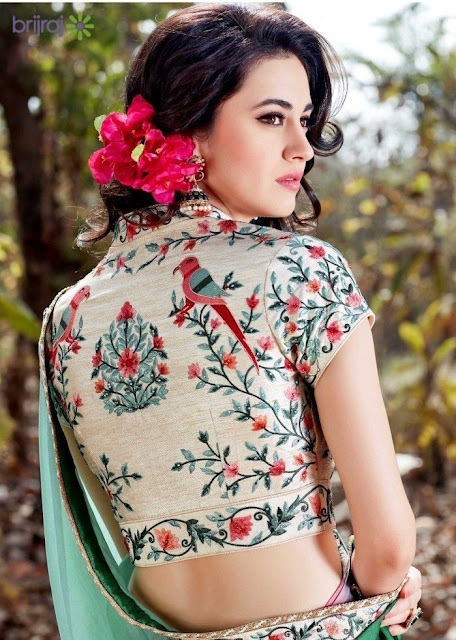 Shaded floral mehndi designs are something one can never say 'No' to! 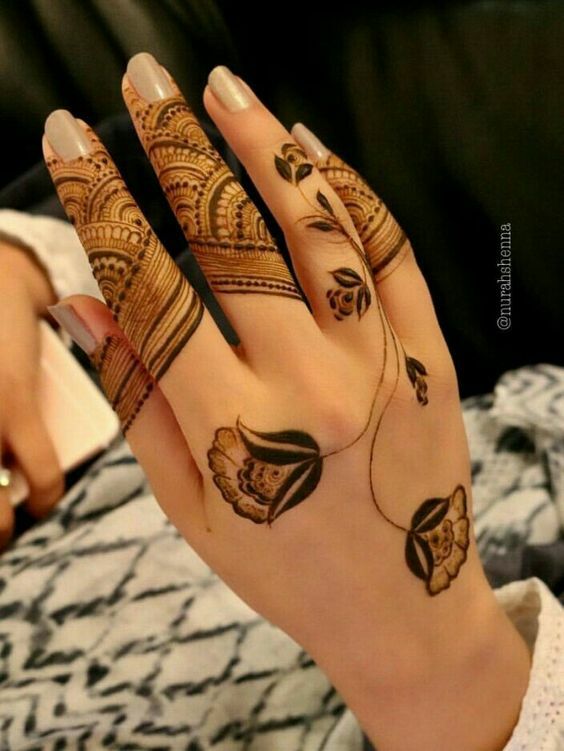 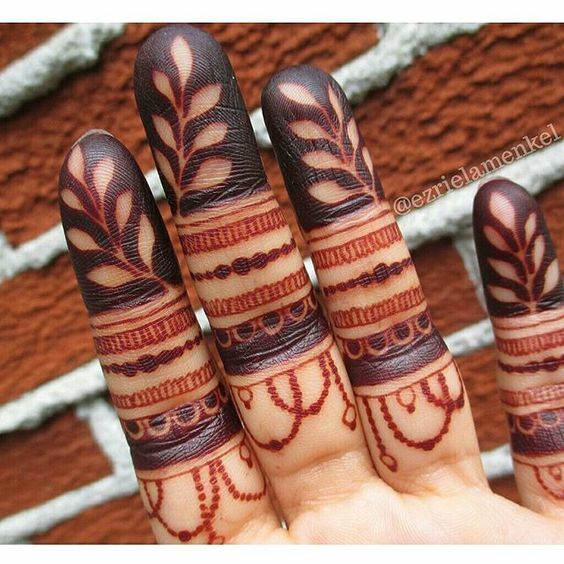 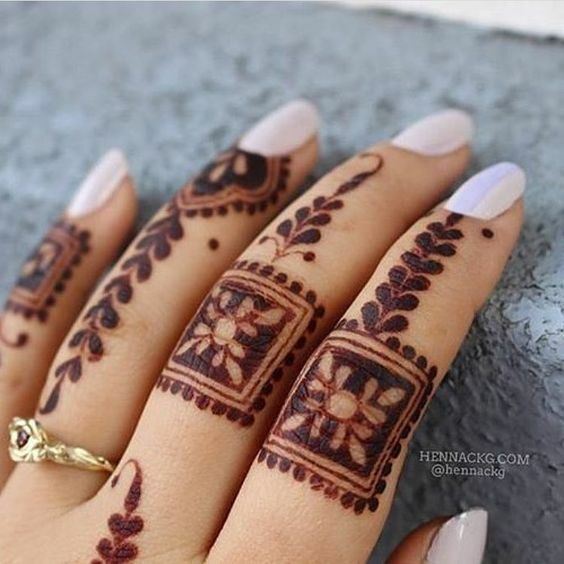 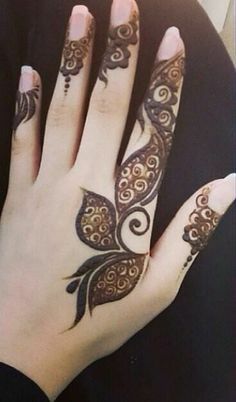 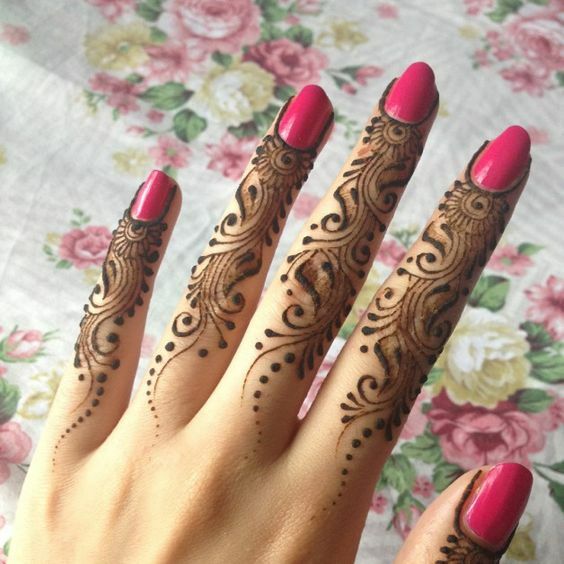 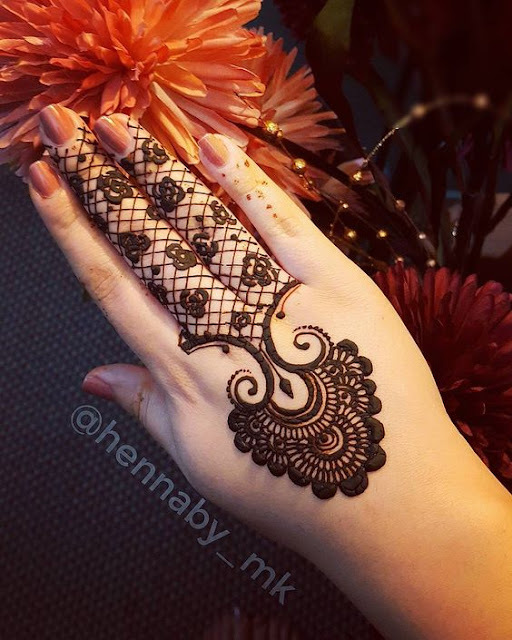 This Henna mehandi design looks absolutely gorgeous on your fingers! 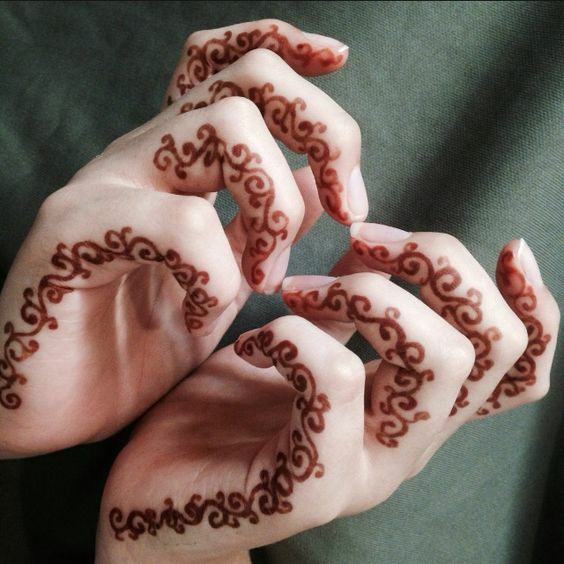 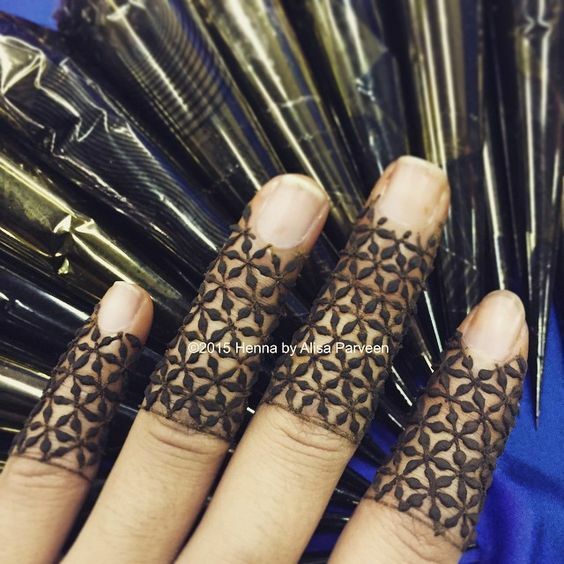 Geometric mehndi designs again have their own sweet charm. 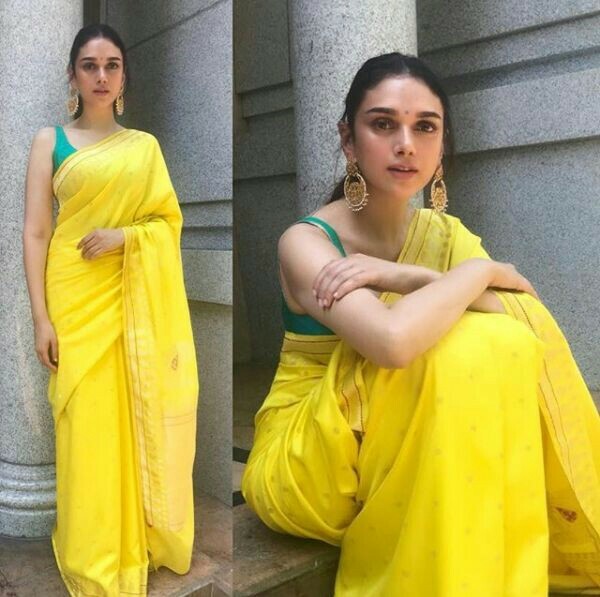 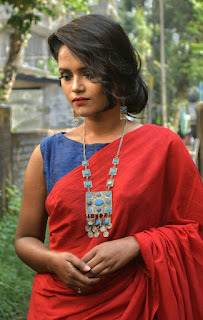 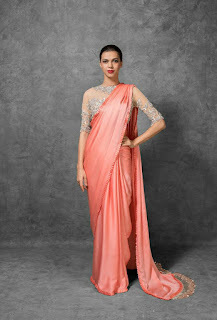 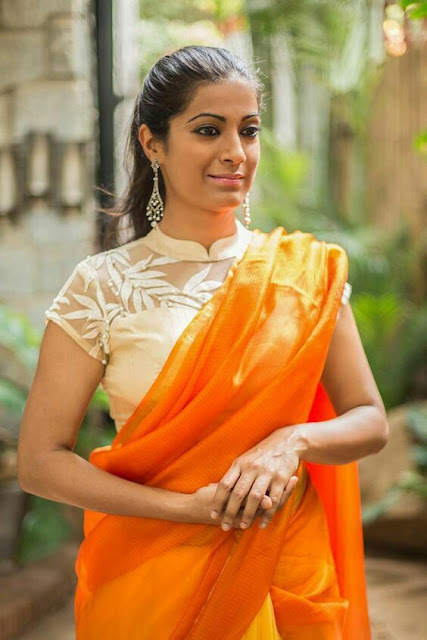 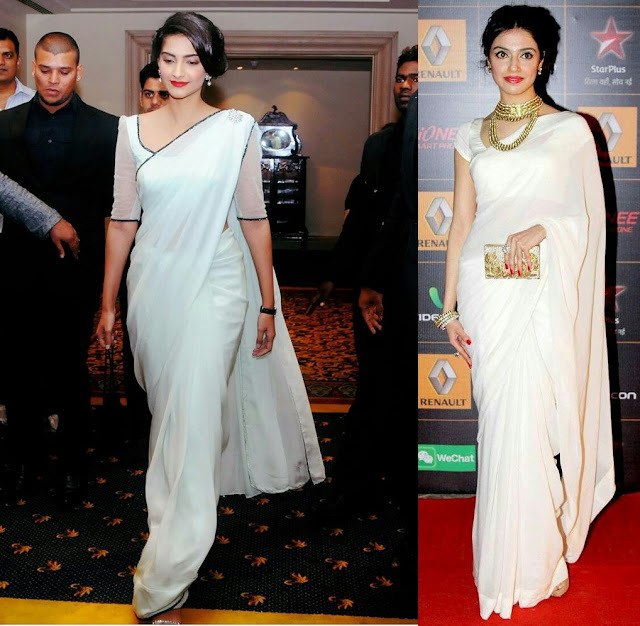 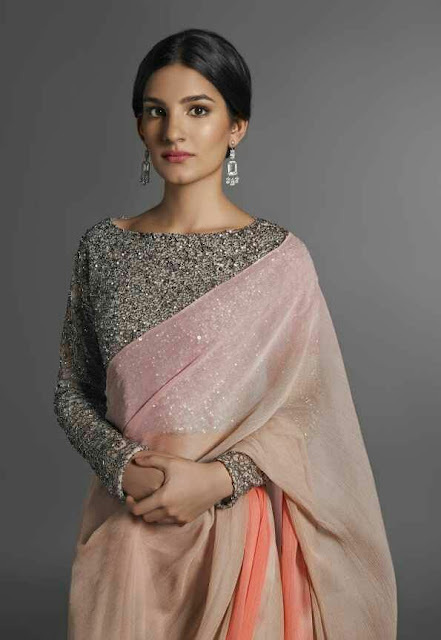 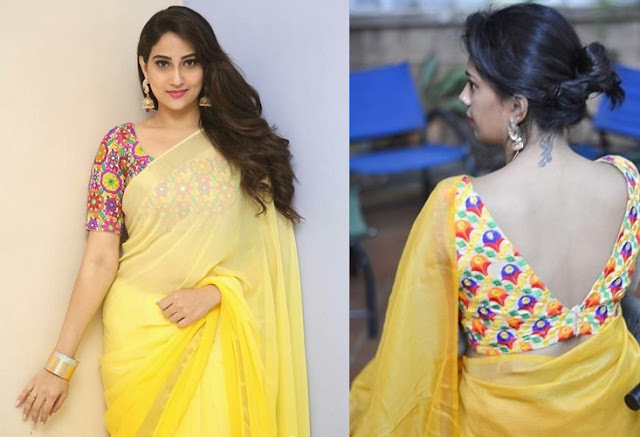 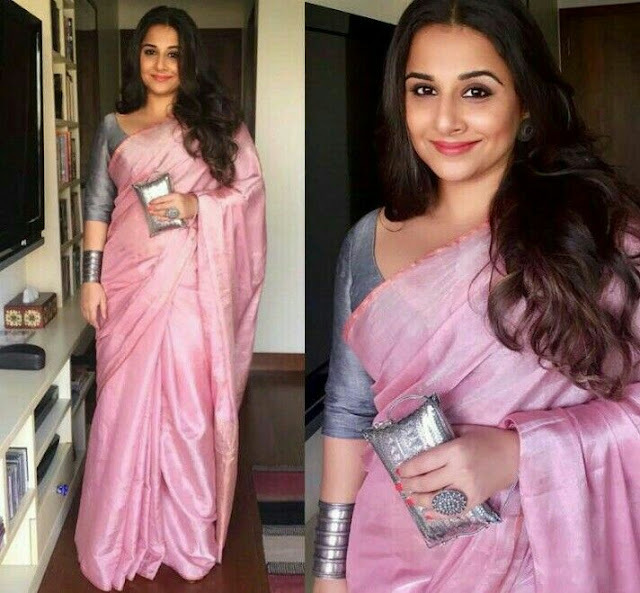 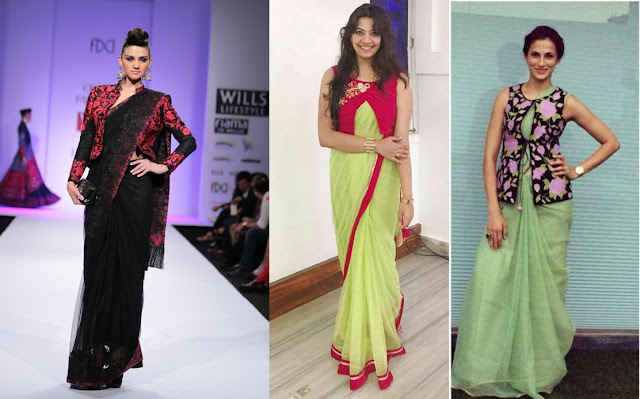 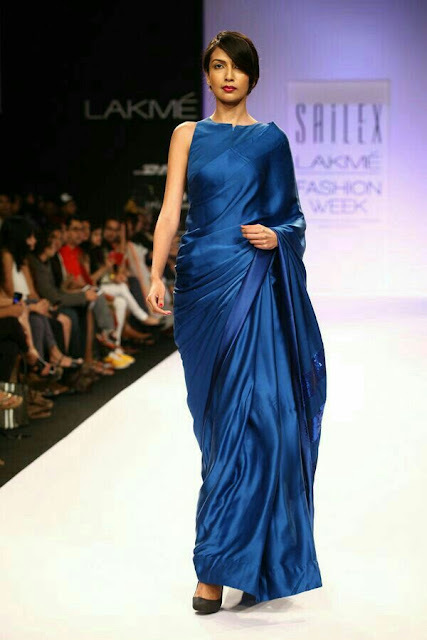 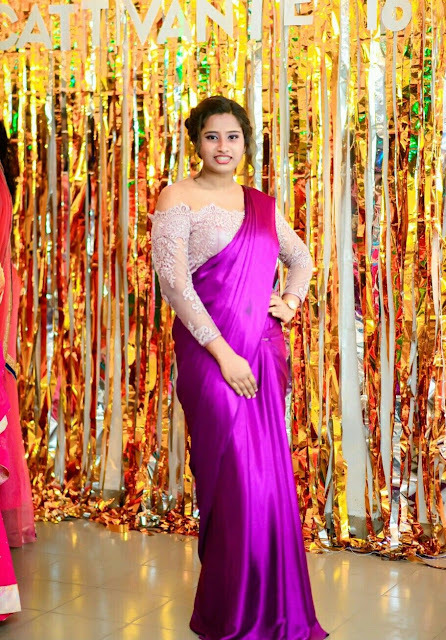 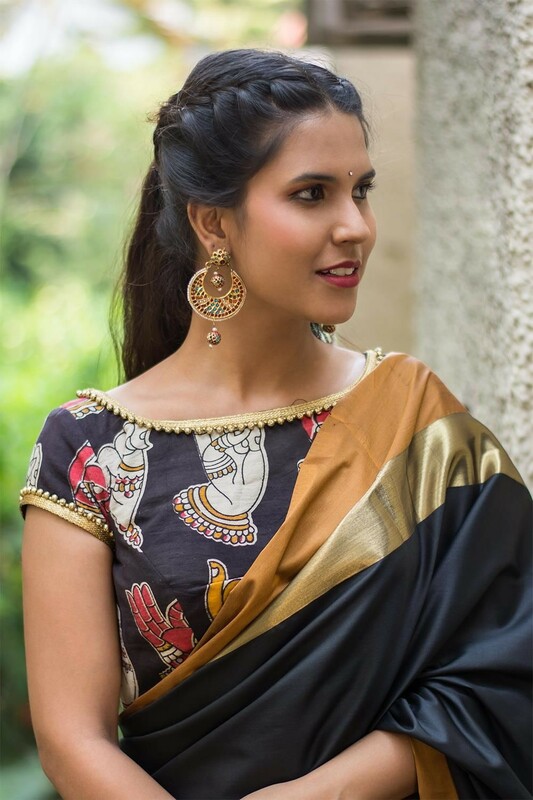 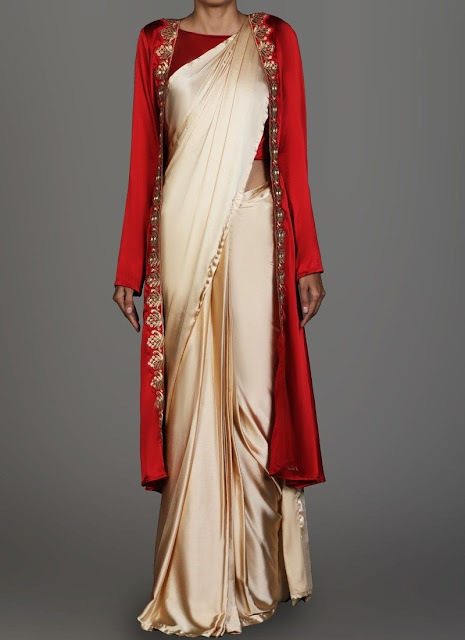 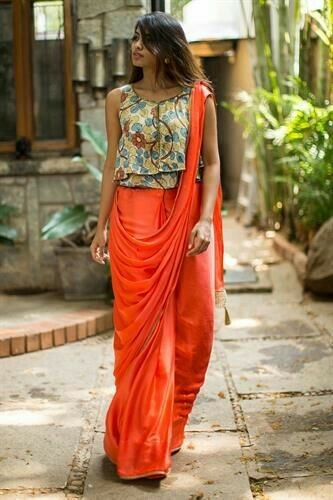 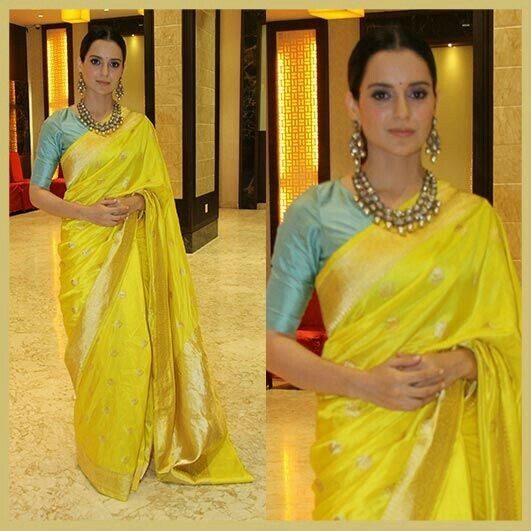 You can wear this design both on grand occasions and casual days. 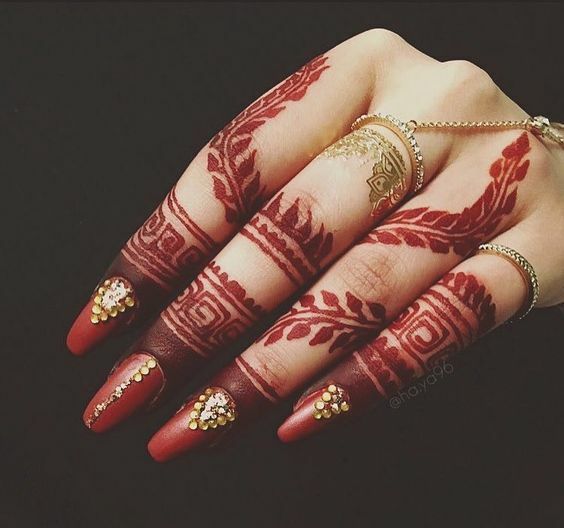 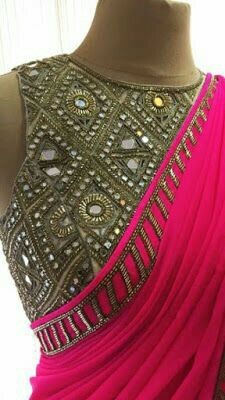 The best thing about geometric mehndi designs is that they go well with both your western outfits and your ethnic outfits! 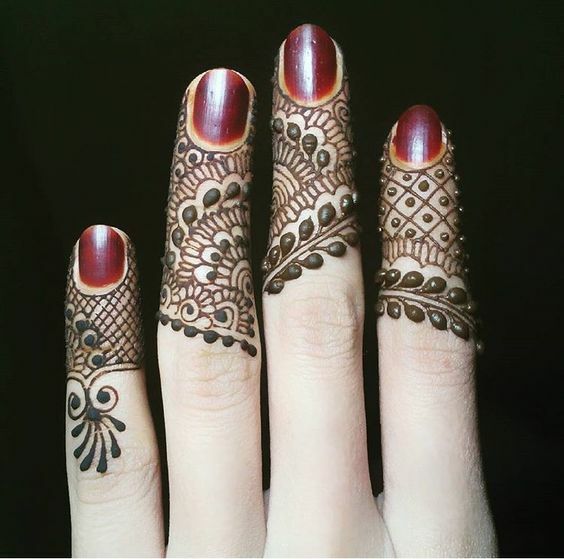 I just LOVE jaali mehndi designs and believe they look best when applied on fingers! 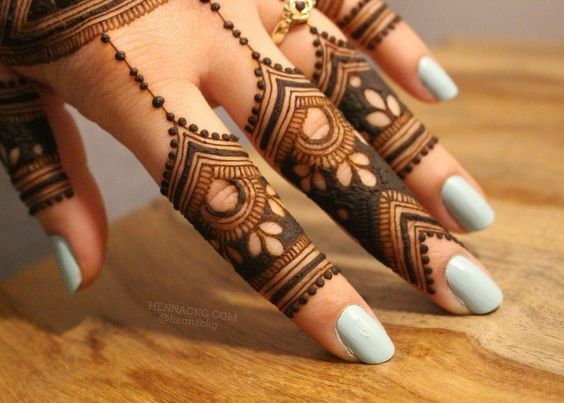 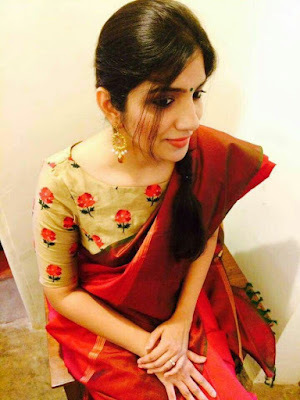 Jaali or mesh mehndi designs can be applied super quick without much effort! 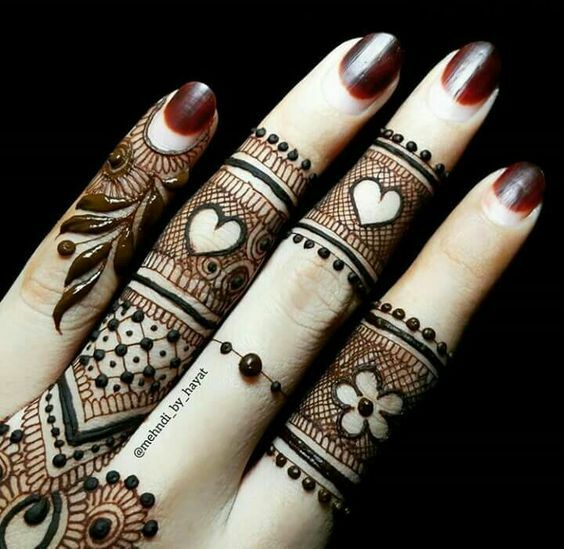 Intricate art has always won hearts when it comes to Henna mehndi designs and the above image is one such example. 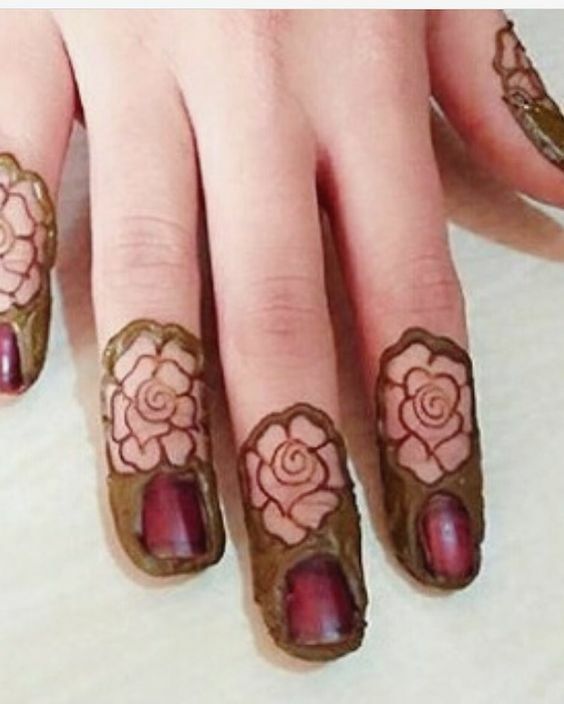 Which of these amazing 45 latest finger mehndi designs do you like the most? 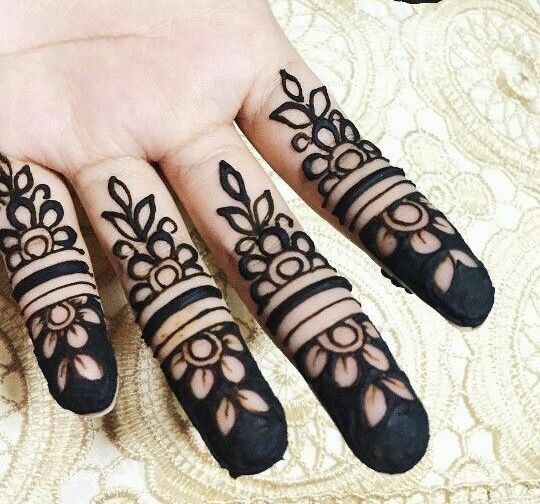 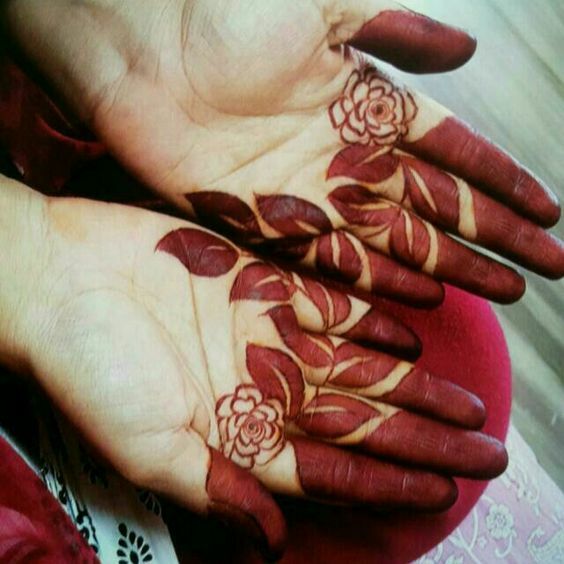 Do you love applying Henna mehndi too? 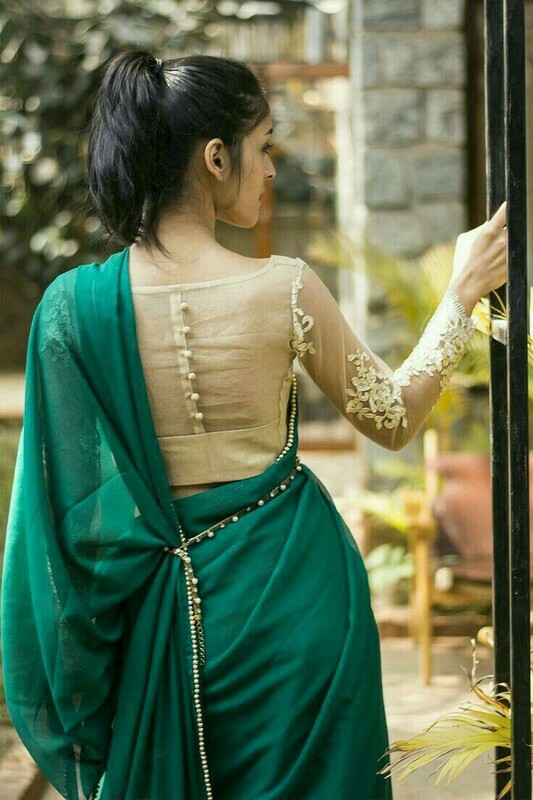 Do share your thoughts in the comments below!